On August 5th, 2013 I received a present. 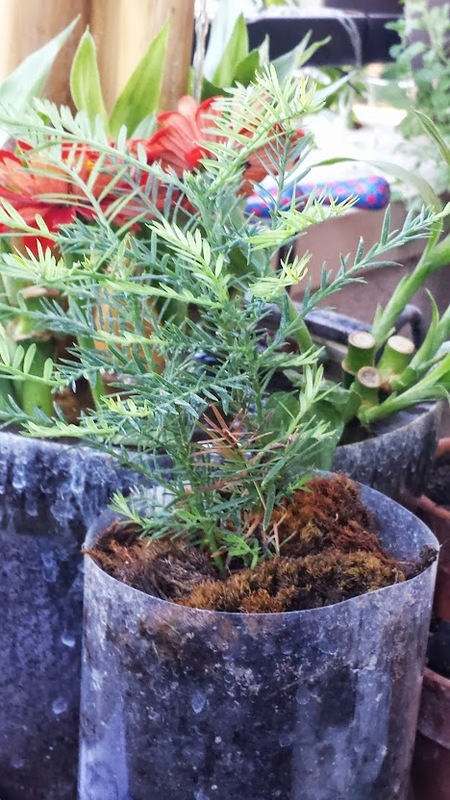 A very cute Coastal Redwood (Sequoia Sempervirens). I planted it temporarily in a 2 liter bottle. I didn’t have a pot ready to use, and I didn’t want the little guy to wait too long to get his roots into some soil. 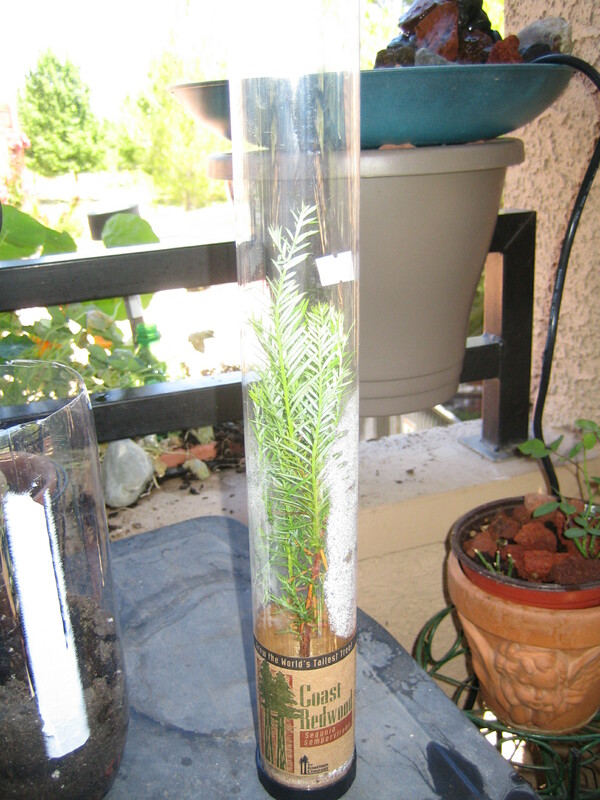 August 5,2013 – Redwood seedling planted in a cut bottle. I left him in the bottle for a few months. I put some moss around on top of the soil to prevent it from drying out. In September it was already putting out new growth. In December I was able to re-pot into a larger pot. I took some new pictures this morning. It has new growth and almost looks like it has 3 trunks. This little guy came from Jonsteen Company. They have a wide selection of baby redwoods. I have been so pleased with this company, and the trees that I gifted my very beautiful cousin one for her wedding. 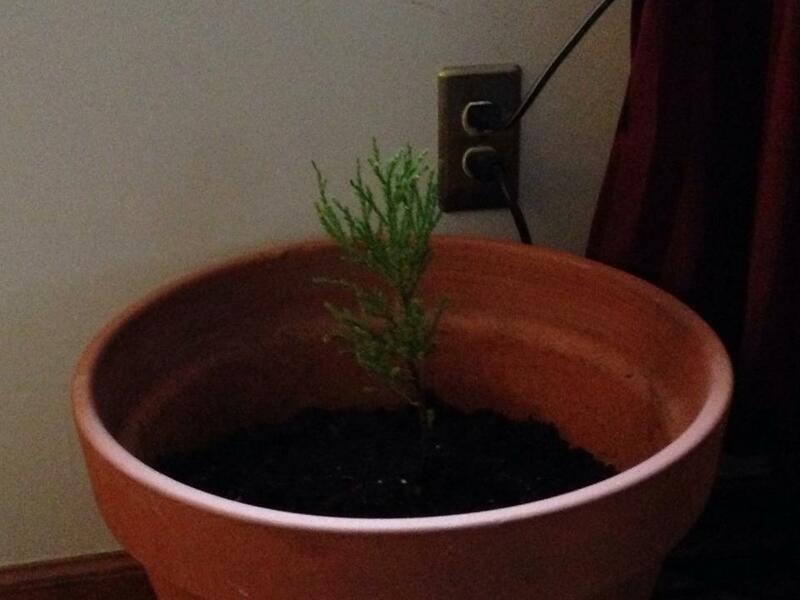 I got for her a Giant Redwood (Sequoiadendron giganteum). Wedding Present for my Cousin. The theme of the wedding was burlap and lace. Here is the tree and the calligraphy I did to commemorate the event. A friend, Janet, helped me with the matting and frame. The sapling flew to the east coast for the wedding, in my carry on.